The rejection causes his son to inquire about the Sabbath. Nobody wanted to help Kositela Tito when his father died. “You can’t have a church funeral for him,” said one. “Just go bury him,” said another. 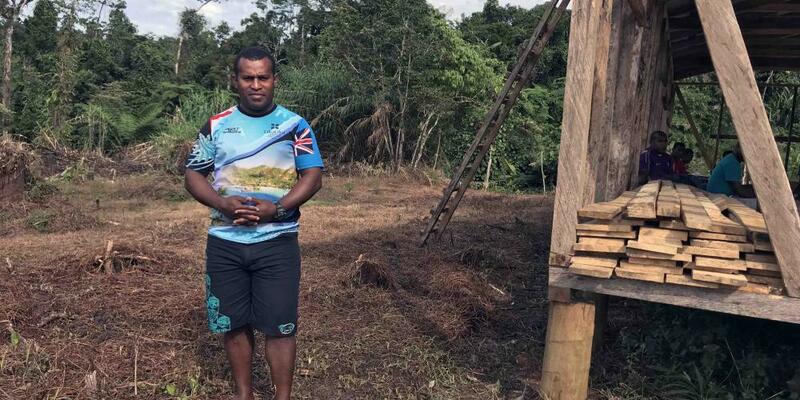 The people in the remote Fijian village of Nakavika turned their backs on Tito’s father because he had become a Seventh-day Adventist. The other villagers, including Tito, belonged to another Christian denomination. Tito wanted his father to have a proper funeral, and he appealed to the village chief, who happened to be his cousin. The chief granted a church funeral — on the condition that Tito built an Adventist church for the funeral. Tito built a small shed, and he and other relatives crowded inside for the funeral. An Adventist pastor gave a sermon about the state of the dead. Tito listened in shock. He always had thought that people went to heaven when they died. But the pastor described death as a sleep and pointed out that Jesus also called death a sleep in the story of Lazarus in John 11. Tito’s sister handed him a Bible to read as the pastor spoke. Tito saw that the words in John 11 matched the pastor’s words. The pastor then turned to 1 Thessalonians 4:16 and read that the dead would wake up in their graves at Jesus’ second coming. He read, “For the Lord Himself will descend from heaven with a shout, with the voice of an archangel, and with the trumpet of God. And the dead in Christ will rise first” (NKJV). Again, Tito looked in the Bible and saw that it matched the pastor’s words. He had never read the Bible during worship services in his own church. When the mourners gathered for a meal after the funeral, Tito grabbed the arm of an Adventist guest. The church member accompanied him home and gave him a Bible study about the state of the dead. Tito wanted to know more, and he invited the man to return for more Bible studies. But Tito’s wife, Vika, didn’t want any part of the Bible studies. She shut herself and their two young children in another room when the church member visited. After two months, Tito reached the Bible study about baptism, and he announced that he wanted to be baptized. Vika wept when she learned about his decision. Tito was sad, but he would not be swayed. After the baptism, Tito told Vika that he wouldn’t stop her from attending her church on Sundays. But he asked her not to cook or do laundry anymore on Saturdays. He said he would do both on Sundays. A month passed, and Vika noticed that her husband truly wasn’t the man whom she had married. When he finished his work as a schoolteacher for the day, he no longer went out with his friends to drink. He didn’t invite friends over for conversations filled with smoking and cursing. Instead he came straight home from work and spent time with her and the children. He didn’t drink, smoke, or curse. One day she called him over. Tito had been praying for Vika, and her words thrilled his heart. They prayed together, and he arranged for Bible studies. Soon she was baptized. Today, Tito, 33, teaches Sabbath School in addition to his classroom at school. Vika teaches the children’s Primary class. He is giving Bible studies to the villagers, and two have been baptized. He has faced trouble at school because of his faith. One day, he arrived to find someone had urinated on his desk. Another day, someone scrawled an obscenity about him on the school wall. The school principal had to call the police when a drunken villager threated him with a knife. July 28 - Sowing Church Seeds | Part 1 Every year thousands of Seventh-day Adventists set out to plant a church. We thank God for the literally thousands of new groups that have been planted and established since Global Mission began in 1990. Yet the challenge remains.